Michelle Jones: I'm messing with you. (Peter smiles nervously) You look pretty too. 16.1.2019 You look really pretty. – And therefore I have value? Happy Hogan: Hey, sorry I'm late. (to May): You look nice. Where to buy tickets to see Spider-Man: Far From Home? Peter Parker is back and is going on a vacation. He heads to a trip around Europe with his friends from school. 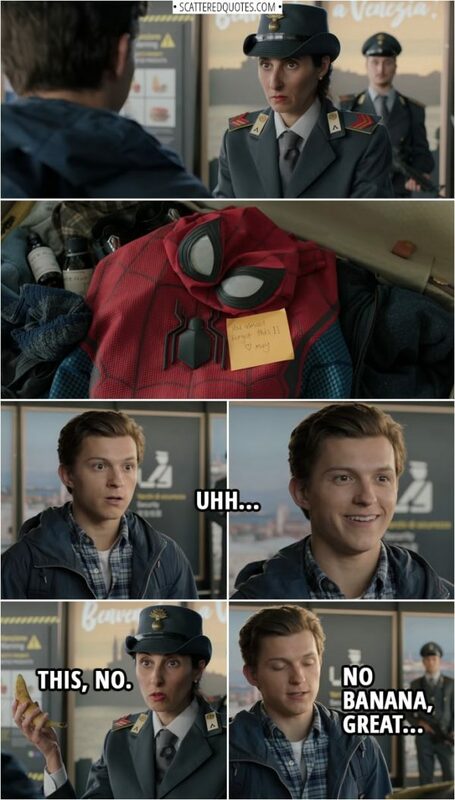 Peter is looking forward to enjoy his trip without the responsibility of being the friendly neighborhood Spider-Man, until Nick Fury shows up asking him for help. Peter then teams up with Mysterio to uncover the mystery of elemental creature wreaking havoc across Europe. 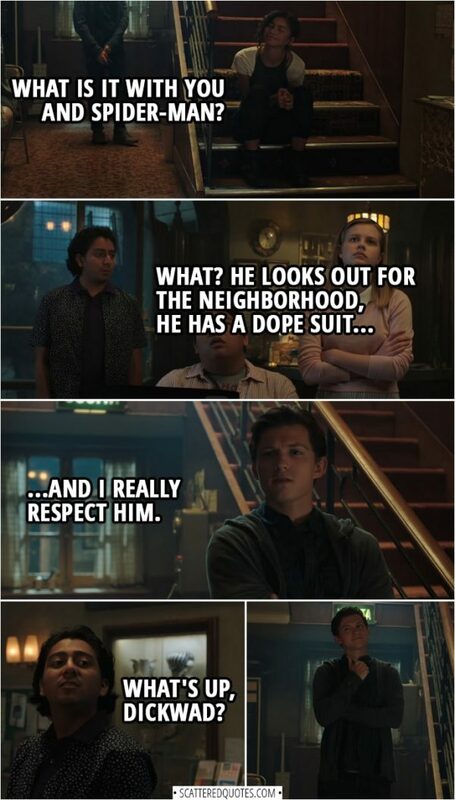 This movie is also known as ‘Spider-Man: Homecoming 2’.